Stuart Harrison is a director at ENSafrica in the employment law department. He specialises in all aspects of employment law, including executive appointments and dismissals, disciplining employees involved in procurement irregularities and who contravene the Public Finance Management Act, as well as restraint of trade matters. He has acted and appeared for clients in various litigious matters in the Labour courts, the High Court and the Commission for Conciliation, Mediation and Arbitration and he has conducted extensive eviction litigation in the Land Claims Court. Stuart’s experience includes drafting split employment contracts for employees rendering services in multiple jurisdictions, litigation against former executives for the recovery of unauthorised expenditure incurred in breach of fiduciary duties, test case litigation on second generation outsourcing, drafting agreements for clients with labour brokers and preparing and revising constitutions for employers’ organisations and bargaining councils. He also has experience in drafting bargaining council main agreements, dealing with the eviction of dismissed employees and other occupiers under the onerous security of tenure legislation and litigating on discrimination law. He has also worked extensively on issues around restructuring in the public sector and the employment law consequences relating to mergers and acquisitions. He has extensive advisory experience, having assisted in dealing with disciplinary, poor performance, absenteeism and other forms of incapacity matters and rooting out theft rings operating within workforces, as well as successfully running large-scale retrenchment exercises for employers. He also has experience in employee benefits and pension law. He is the author of the chapter on pension law in Juta's annual labour law publication. He is the co-author of chapters on South African labour law for a number of international comparative employment law publications, such as the Littler Mendelson Guide to International Employment and Labour Law, the Law Business Research’s The Employment Law Review and the Centre for International Legal Studies’ International Employment Law publication. He has also contributed to Labour Law for Managers: A Practical Handbook. He has served as an independent trustee for commercial umbrella funds as well as pension, provident, preservation and retirement annuity funds. 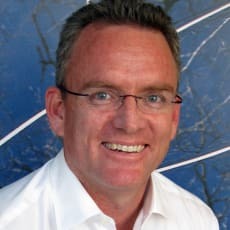 Stuart regularly presents at client seminars, training courses, workshops, and has been a speaker at various public seminars and conferences on numerous issues, including labour brokers, second generation outsourcing, white-collar crime, pension law and ensuring legal and tax compliance in employment contracts and policies. Stuart is recognised as a leading/recommended lawyer by Chambers and Partners Global Guide to the World's Leading Lawyers 2017, 2016, 2015, 2014 – employment (South Africa); The Legal 500 Guide To Outstanding Lawyers 2016, 2015, 2014 – labour and employment (South Africa); Who’s Who Legal: Labour and Employment 2016, 2014 (South Africa); Best Lawyers 2017, 2016 – labour and employment (South Africa).